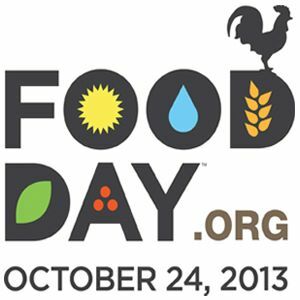 Looking for opportunities to celebrate Food Day in your community? You’ve come to the right place! Using the link below, you can search for registered Food Day events near you using your city, state, address, or zip. Once you’ve found an event you’re interested in attending, you can RSVP to let the host know you are coming, and share the event with your friends and family on Facebook, Twitter, and Pinterest. Marla Isaac of New England Reptile and Raptor Exhibits will be at the Soule Homestead Education Center on Saturday, April 20th, from 6:00 to 7:30 PM to explain what vernal pools are, their functions and why we should protect them. Marla will explain the species that use vernal pools and their connection to the ecosystem. Turtles, frogs, and salamander eggs are just a few of the living things that might be discovered as the group explores the vernal pools at Soule. Participants can bring rubber boots, dip nets, and buckets. The cost is $5 per person – space is limited. Pre-registration and payment is required by Friday, April 19th. Sorry folks — due to circumstances beyond our control — the ‘Free Concert’ that was planned for this Saturday 6/2 has been moved to Sunday, June 10th (same time). Thanks, and really hope to see you there! Free admission ($2 parking fee applies). Susan Lee (Anderson) is from Whitman. She sings, plays acoustic guitar and piano, loves vocal harmony and enjoys songwriting. Her musical style is influenced by traditional and contemporary folk, classical and country music, faith hymnals and pop songs. Frank Albani is from Plymouth. He sings, plays acoustic and electric lead guitar, loves instrumental harmony and enjoys composing his own music. His musical style is influenced by classic rock, jazz and blues. Although they perform as duo occasionally, each has been performing solo and with other musicians for several years. Together, they play a unique mix of their own arrangements of favorite cover songs and original compositions. Both have a deep appreciation for music variety and can often be found among the audiences of fellow musicians. Among their joint interests – participating on the volunteer music committee that nominates and votes for the yearly Soule Homestead Summer Concert Series and Harvest Fair / Joe Davies Folk Festival (to be held on September 15 & 16 this year – check out www.soulehomestead.org). Carbon Nation is a documentary movie about climate change SOLUTIONS. Even if you doubt the severity of the impact of climate change or just don’t buy it at all, this is still a compelling and relevant film that illustrates how SOLUTIONS to climate change also address other social, economic, and national security issues. You’ll meet a host of entertaining and endearing characters along the way. How does it get to you? How can you support local farmers and food producers through your food purchases? The Kingston Public Library and edible South Shore have teamed up to host an ongoing series of programs about the phenomenon of “eating locally.” Please join us in the discovery of our local food. The next session of the new South Shore Locavores lineup is coming right up on Tuesday November 22nd. The topic is 1621 and Your Authentic Thanksgiving Table. We hope you’ll join us and enjoy the presentation by Kathleen M. Wall*, Plimoth Plantation Colonial Foodways Culinarian for the past 11 years and with Plimoth Plantation since 1980. You’ll have the opportunity to try a sample of pottage made from turkey and Indian corn, a New England twist on an old English dish that is a great way to use leftover turkey. *Kathleen M. Wall has worked at Plimoth Plantation since 1980 and for the last 11 years has had the enviable position of Colonial Foodways Culinarian. She trains staff in period cooking techniques and 17th-century foodways, and coordinates the daily cooking in the 1627 English Village. She plans public programs for adults, children and families, participates in film shoots and media interviews, responds to academic inquiries about colonial foodways, and writes and lectures extensively for Museum staff, scholars and the general public. The South Shore Locavores Swap Table, introduced at your suggestion at the end of the last season, will be a feature this year as well. This month the theme is COOKIES. Please bring a plate or two of homemade cookies and the recipe (or anything else food-related) that you’d like to swap at the gathering. Show off your baking skills! Love to cook? Please feel free to bring a dish to share to any of the gatherings. There will be time at the beginning and end of each meeting for Munching and Mingling. …just to let everyone know that these old fashioned types of events still take place! Connecticut Sheep Breeders Association, Inc.